UncategorizedWhy Our Limo Service is The Best in South Florida? We Care About You: One of the many reasons for getting our limo service Miami is because we care about our clients. We give their time, money and comfort a top priority. All of our efforts are to provide our clients with the best service they can get in the whole of South Florida when it comes to comfort and saving time and money. Our chauffeurs are friendly, welcoming and courteous. They will give you your privacy, and if you want some company, they will be happy to talk to you as well. The gist of the matter is that our client’s comfort is all that we care about. We Arrive on Time: Time is the most crucial factor when it comes to travelling. People may need to arrive at a meeting, event, airport, or any other place at a fixed time. And if they get late, they may face some problems. Well, we would never want that to happen to our clients. This is the reason that we are always at the location of our clients on time, and we always make sure to drop them to their desired location before time. This way, our clients will not have to face the consequences of arriving late. We Never Abandon Our Clients: Unlike some transporting service providers that never arrive after agreeing to reach a specific location, we always come. No matter where you are located in South Florida, if you want us to pick you up, we will not abandon you, we will come running towards you and take you wherever you want to go or wait for you if you want to take care of some important things first. The point is that once someone has booked us, we never leave them until they are at their desired location safe and sound. We Have a Reputation To Protect: Due to being the best in South Florida, we have a vast client base and a good reputation as well. We will not do anything that many small Miami limo service providers do. This way, we make sure that our clients have the best time travelling with us. Whether they need us for a simple one place to other place travel or they need to book us for special occasions like weddings, birthdays or anniversaries, due to our far-reaching good reputation, we always strive to deliver the best quality of service to protect our reputation and build it further. You’ll Have Complete Independence: With our limo service Miami, you will be your own boss. You will be giving directions to the chauffeurs, and he will happily oblige wherever you tell him to go. This way, you will not be dependent on your friends to pick you up and take you to a special event or simply to airport. This sense of independence will make you get our professional Miami limo service every time you want to go someplace. Our Chauffeurs Are Experts: With years of driving around South Florida, our chauffeurs have become well versed in expertly driving the limos even in traffic. This means that you will not only be completely safe with them, you will also not have to worry about arriving late at your desired location. Due to their expert driving, you will always reach on time. We Are Trusted: All of our chauffeurs have been hired after a background check which means they are completely trusted. Due to our years of service in the transportation industry, we have the eye for the expert and trusted people, and with the careful selection process of the chauffeurs, you are rest assured that you can trust them. Whether its midnight or bright daylight, you can freely travel with our chauffeurs without having to worry about your safety or your valuables. You Will Be Safe With Us: As mentioned above, our drivers are fully expert when it comes to driving the limos, this means that you will also be safe from any type of accidents. With their meticulous driving, you will be safe from any potential mishaps. Also, if you are coming from a party, it is not safe for you to drive on your own. This is because you may have drunk alcohol and driving in this state is very risky and illegal. So at that time, you can always call us to pick you and your friends and drop you off at your homes safely. These are some reasons that make us the best limo service in Miami. We not only care about our clients, but we also make sure they arrive safe and on time. Now that you know why we are the best in the whole of South Florida, what are you waiting for? 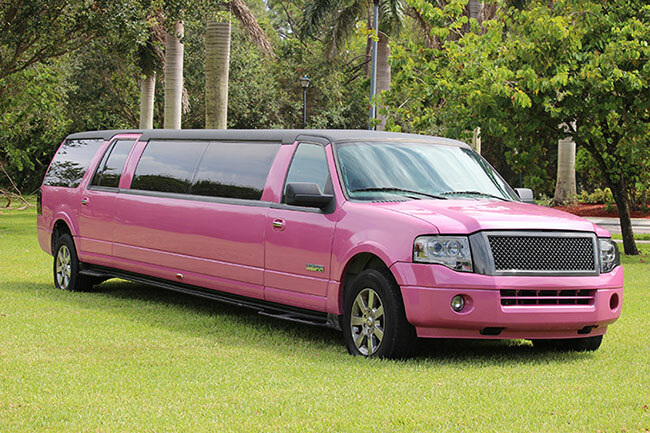 You can call us right now and book our Miami limo service. The benefits that you are getting with our professional service may not be found anywhere else. This is because we care for our clients and our top class service shows that. Besides, we offer highly competitive prices that are unmatched by our competitors. So pick up your phone, dial our number and give us a call, we are right here for you! Previous post 2018 Christmas Limo Service in Miami, South Florida	Next post How Much Does it Cost to Rent a Limo in West Palm Beach?